Will you think I’m totally crazy if I tell you that I made 20 freezer meals this weekend? I didn’t plan it that way, it just kind of happened. Most of the meals were crockpot freezer meals from my trip to Costco on Saturday. 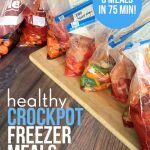 I was able to prep 12 meals in 75 minutes! The second freezer session was a bunch of beef roast recipes made with meat on sale at the grocery store. I promise to share all of those recipes too, but can we focus on Costco for a minute? 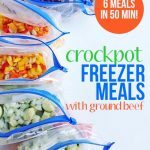 I made 12 crockpot freezer meals in a mere 75 minutes, friends!!! We’ve eaten all of these recipes before and they’re absolutely delicious! These aren’t just run-of-the-mill recipes made with condensed soup either. 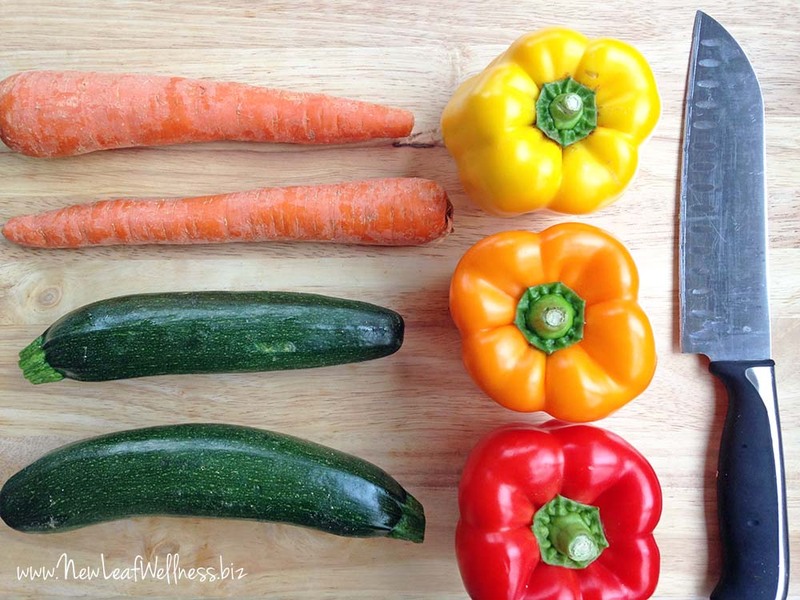 If you read my blog post about making six healthy freezer meals in 50 minutes, then you know that I like to make my freezer meals as healthy as possible. This was only my second time going to Costco, so I didn’t plan what I wanted to make ahead of time. I looked around for good deals on healthy food, and got inspired by these ingredients: sweet peppers, organic carrots, onions, beans, canned organic tomato sauce, chicken breasts, and ground turkey. 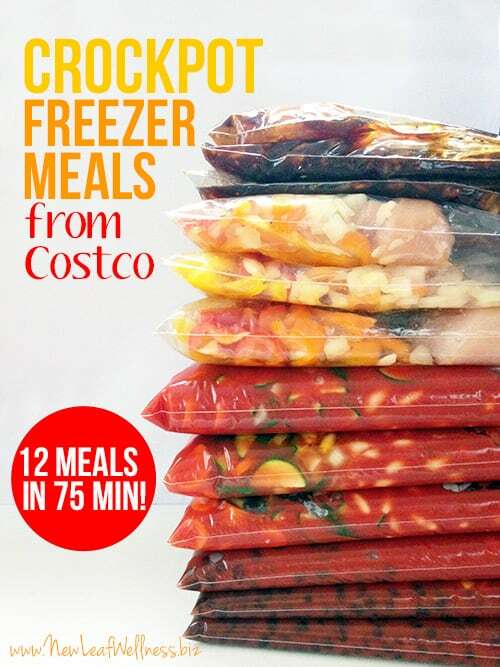 I don’t know about you, but preparing 12 meals in 75 minutes was really fast for me. I even cleaned up my kitchen after making a HUGE mess with tomato sauce. (Whoops!) If you’re competitive, that means you might be able to finish faster than me. I had most of the spices on-hand and spent $87 on the other ingredients. All of my recipes are very simple, so you will be able to find the ingredients at your local grocery store too, if you don’t have a Costco membership. If you buy 10-pound bags of onions and organic carrots, like me, you’ll have some leftover. 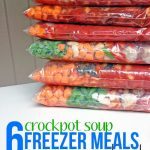 I recommend making some of my favorite crockpot freezer soups with them. 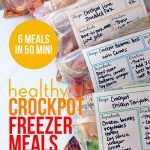 Making these 12 crockpot freezer meals was a lot easier than I thought it would be. I got together with my mom last year and froze 16 meals to eat after my third baby was born, and they took a lot more time. My meal planning skills have come a long way! 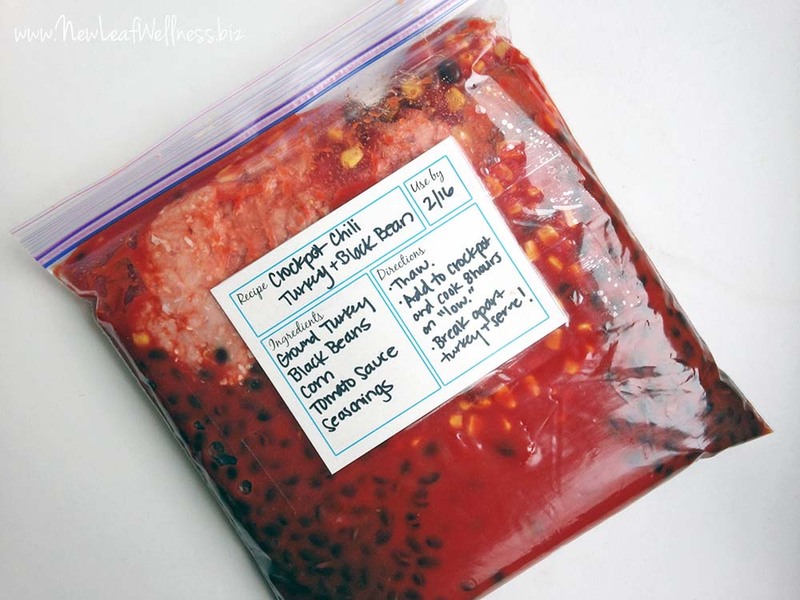 I print my recipes and fill out my freezer meal labels. When possible, I grocery shop and prep my meals on different days. Remove as much air as possible, seal, and stack in the freezer. 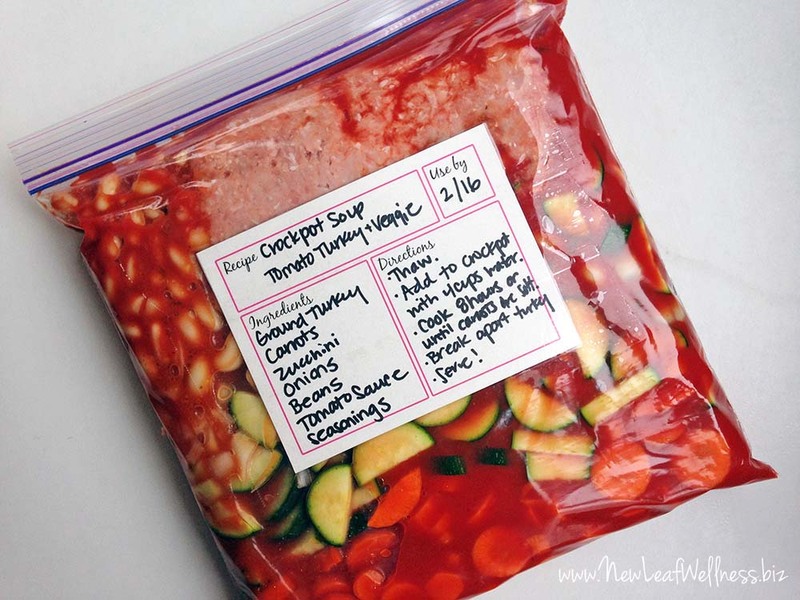 Most freezer meals will stay fresh in a regular freezer for three months. When you’re ready to eat, thaw overnight in the refrigerator or in a bowl of water. Cook, and enjoy! I agree, Brighid! Thank you for the encouragement! Hi Kelly! I’m so excited to try these recipes. Do you think instead of canned I could use dried beans? Would I just add them in with the thawed bag at the beginning of the cook time, maybe have them pre-soaked? Yes, you can definitely substitute dried beans. I would soak them ahead of time and add them to the bags like that. I see that on your ground turkey recipes, you do not break up the turkey until the meal is done. Why can’t you break it up before? When I thaw my chicken I usually let it thaw 24 hours before cooking it. 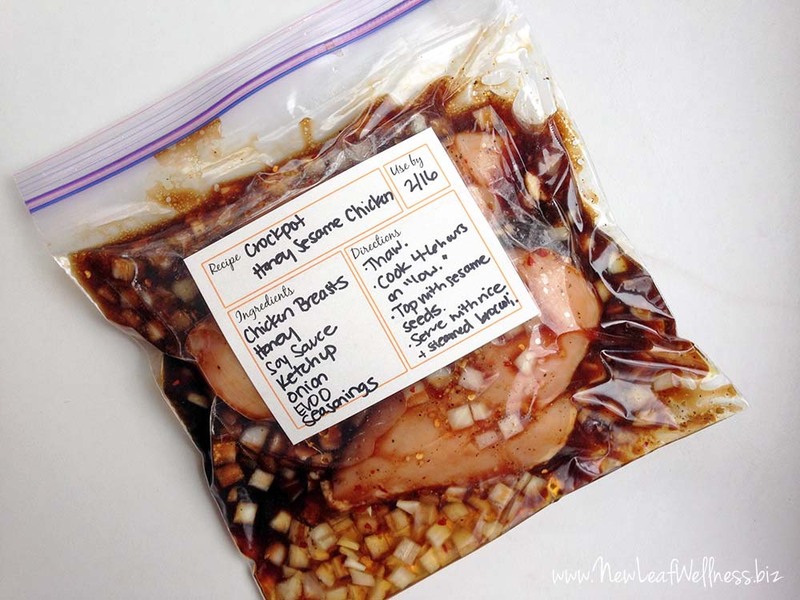 Do you suggest taking the freezer bag out 24 hrs prior to thaw, or how long do you suggest? If you’re used to doing 24 hours then I’d stick with that. Your recipes for the freezer look good. I noticed you had quinoa on your list – what do you use this with? And how much of everything listed do you put for each meal? I might have missed this. I usually buy microwave rice or quinoa packs to serve as a side with chicken dishes or beef roasts. I hate the thought of prepping everything ahead of time and then needing to cook rice for an hour, so they’re very convenient. If you look toward the middle of the post, you’ll see my grocery list and recipes. Does that answer your question about amounts? I used to brown the meat first, but I found it was unnecessary. I use at least 80% lean and there’s never any grease. Such a time saver! I was searching Instagram for freezer cooking ideas & almost every picture I clicked on was yours, lol! Your recipes look like ones my family will love. I can’t wait to try these recipes, thanks for sharing! Where do you find your labels? Am I not looking at the right item? Thank you, thank you, thank you. I have now explored two different of your freezer cooking meal plan pages and I have to say both impress. It is so hard for our family to find freezer meal plans that not only look like something we would eat, but also are allergen free. My husband has seafood, pineapple, and mustard allergies. Those combination can complicate or rule out many recipes. And then we have three little girls (5, 3, 1) who are a tad picky.